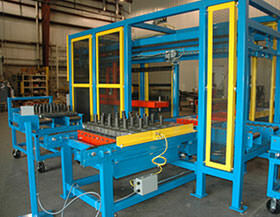 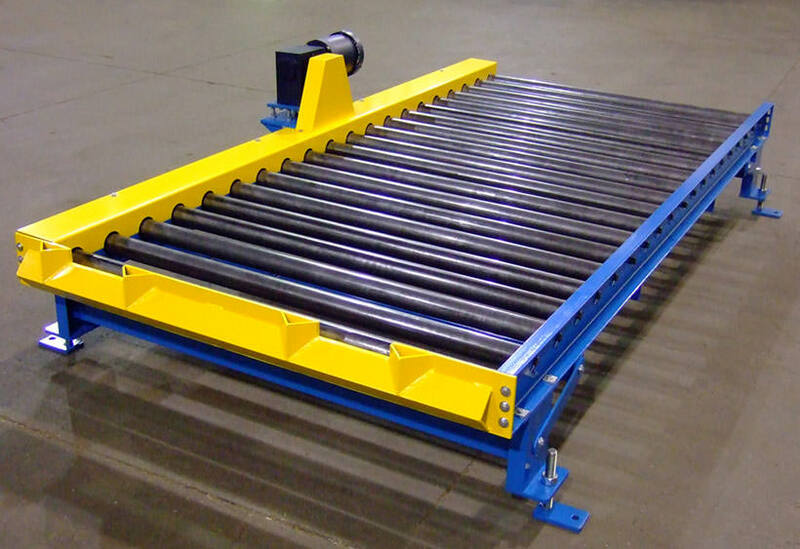 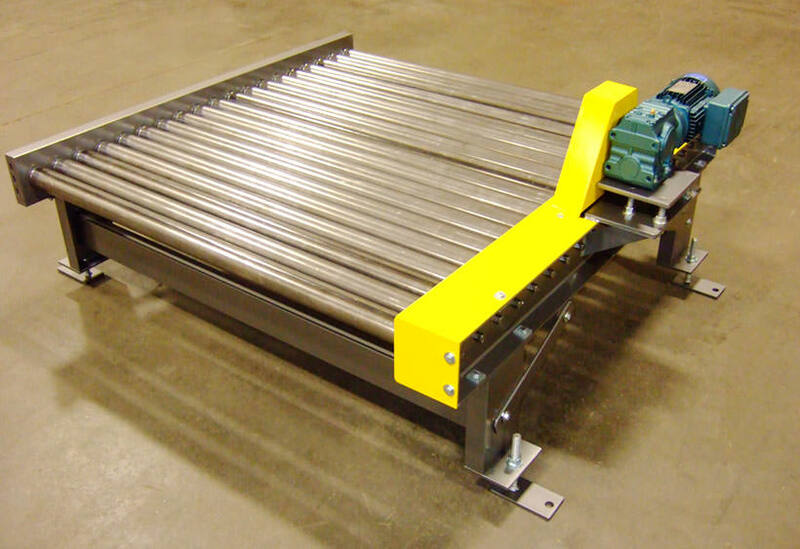 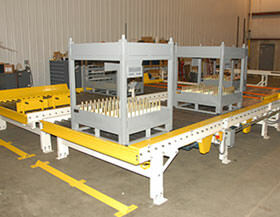 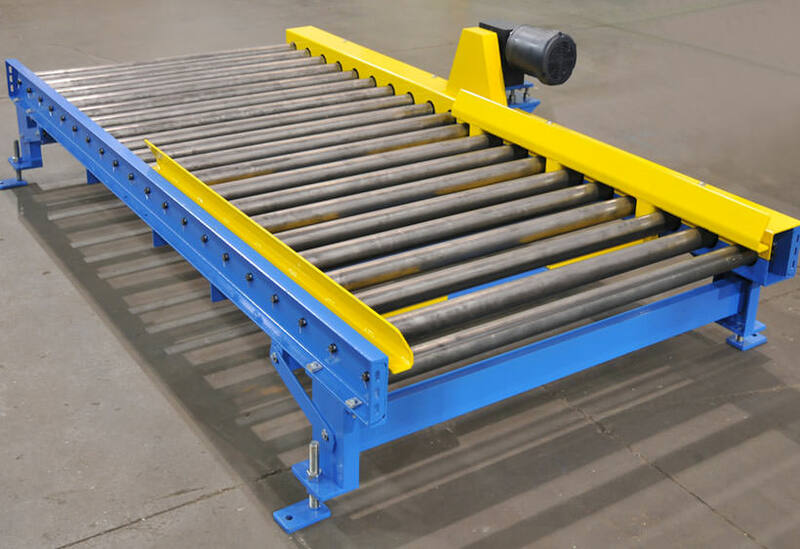 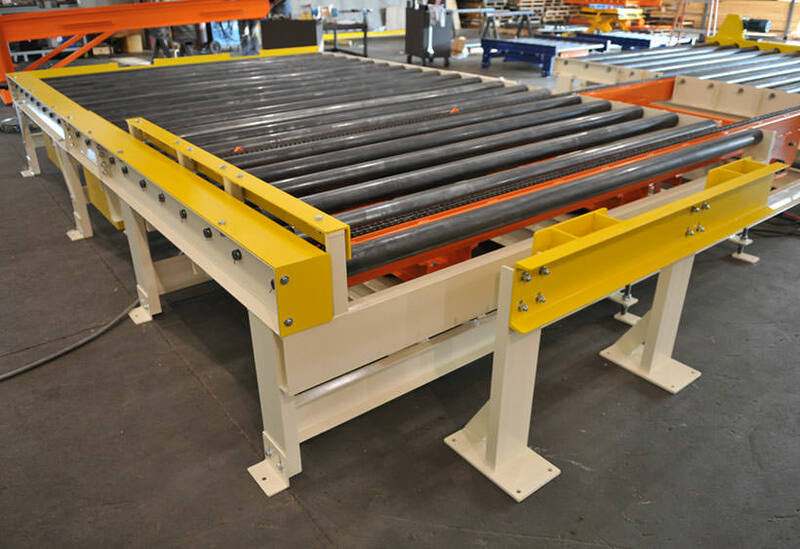 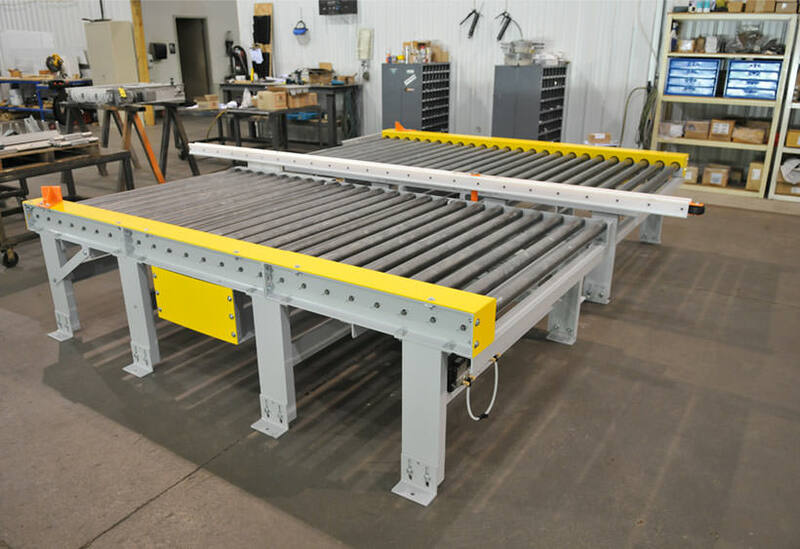 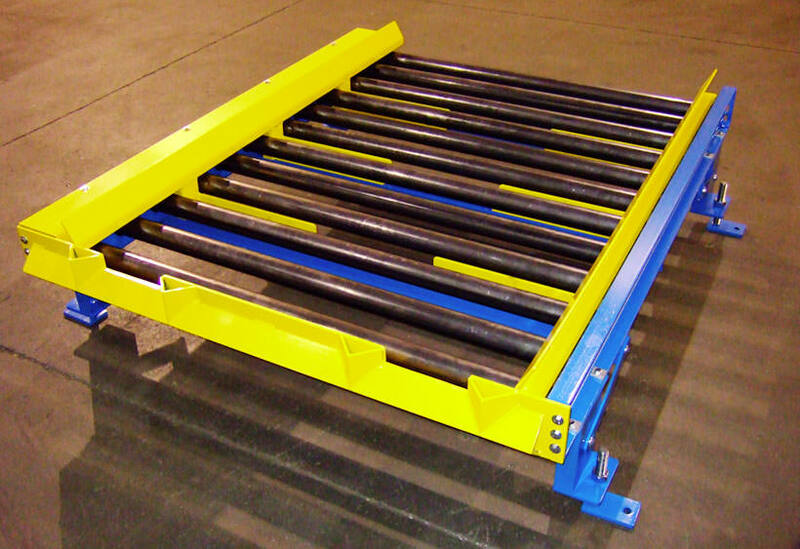 Chain Driven Live Roller (CDLR) conveyors can handle heavy loads such as pallets, drums, totes, and racks. 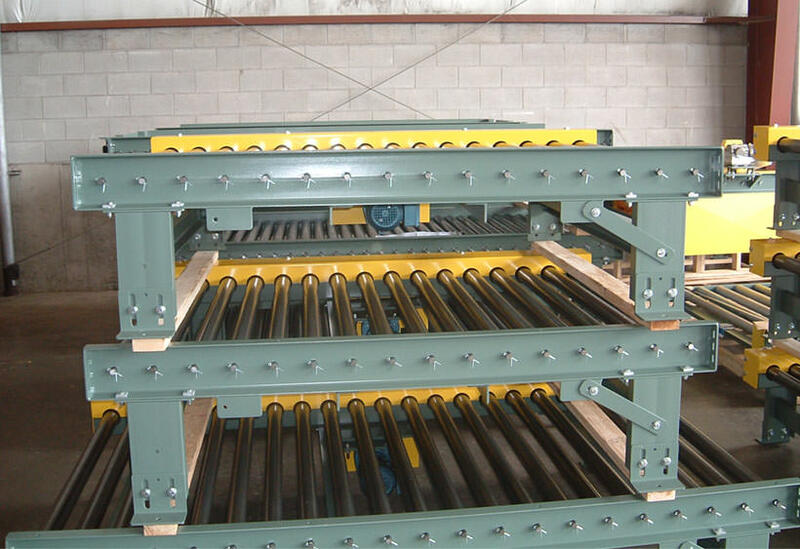 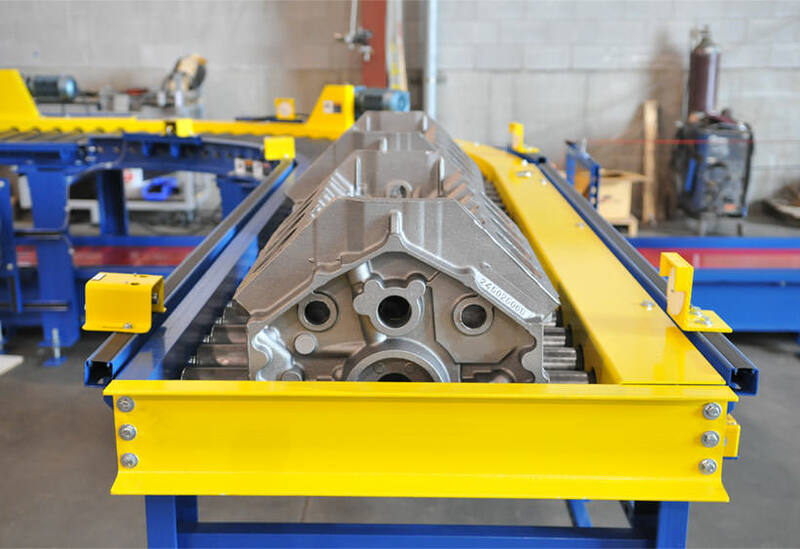 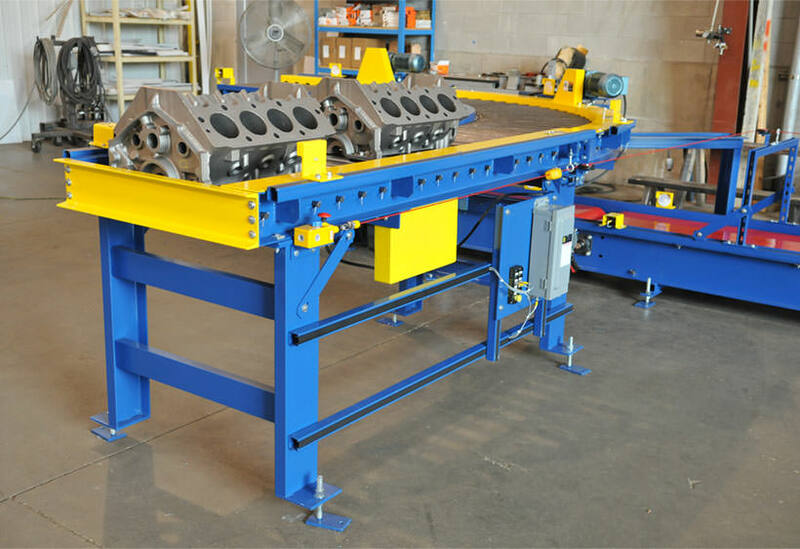 The load requires a bottom surface that can span multiple rollers. 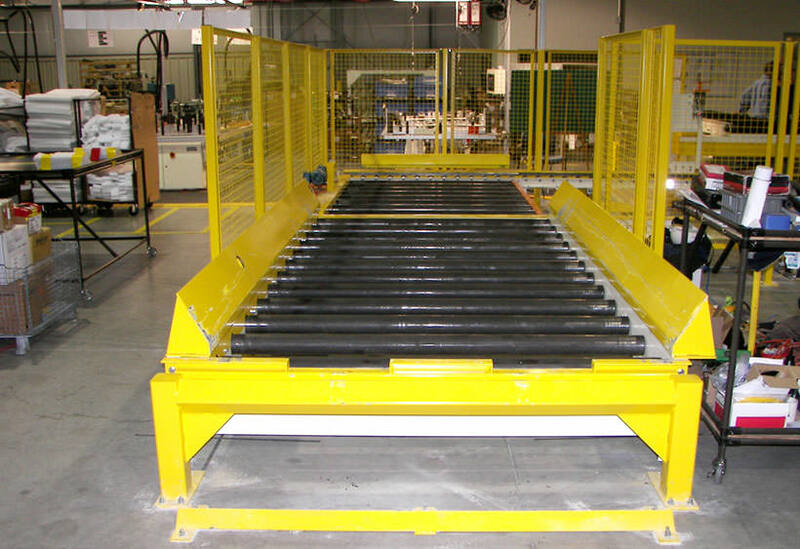 Load capacities range from small light weight totes up to large racks weighing several thousand pounds. 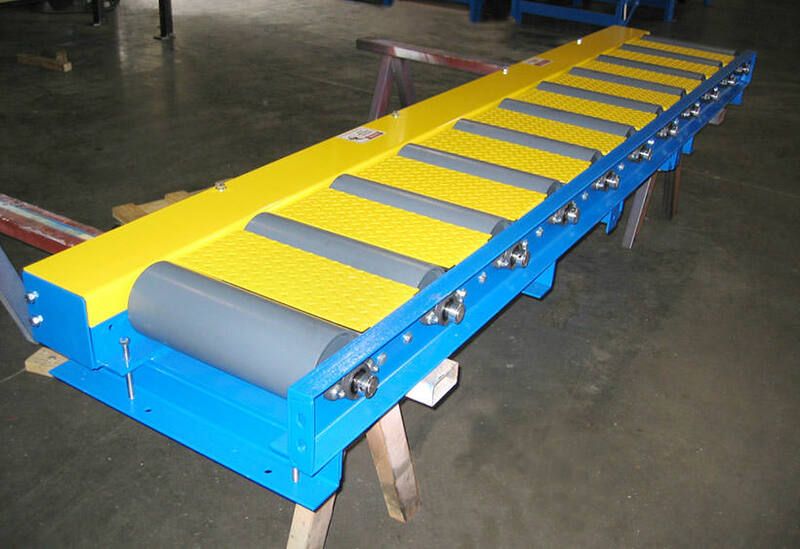 The positive drive force of the chain loops allow CDLR conveyor to withstand frequent starts and stops and reversing applications. 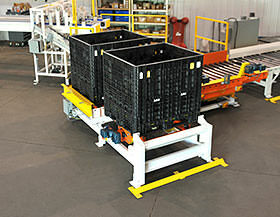 Drives can be mounted side-high, below-within, and side-low. 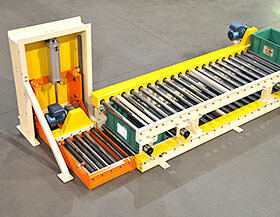 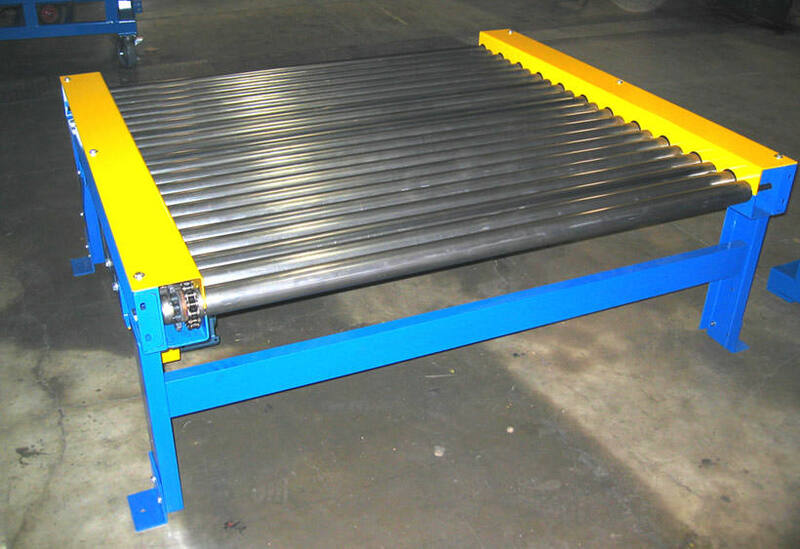 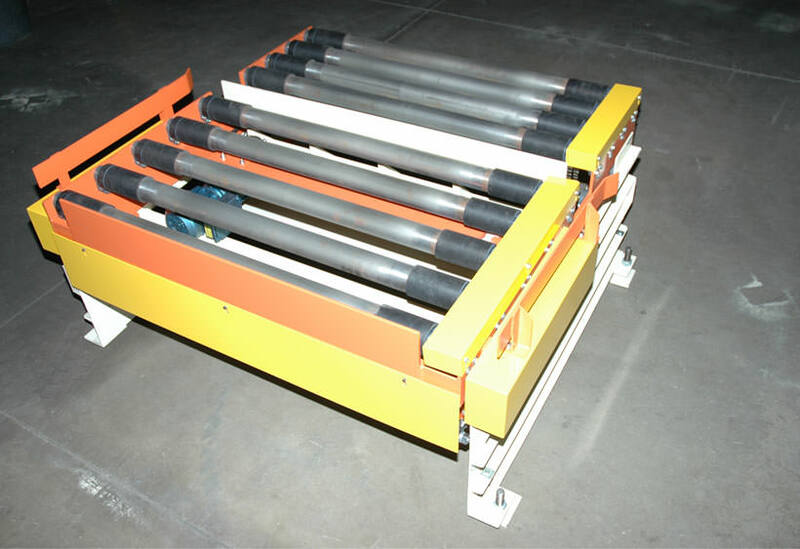 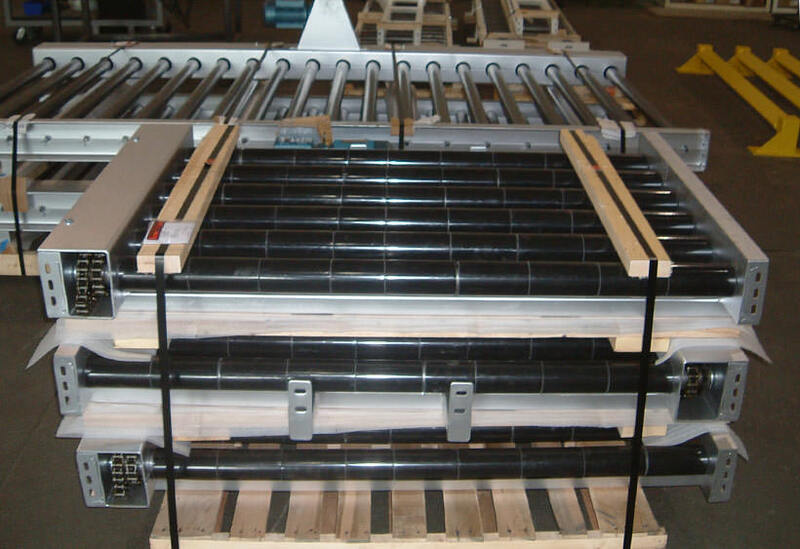 A wide variety of conveyor widths and lengths are available. 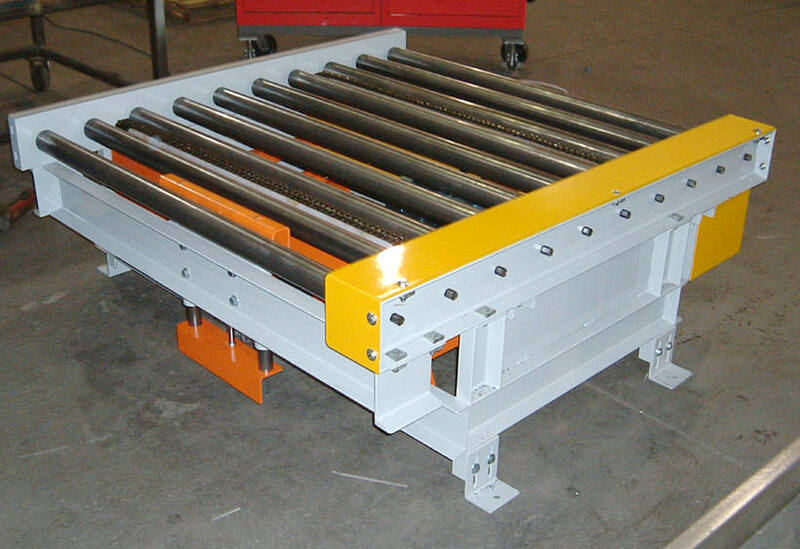 Many accessories are also available such as side guides, end stops, pin stops, escapements, lift-off zones, divert arms, chain transfers, and set down guides.